Using crowdsourcing, the HORAO project has asked the most brilliant minds to develop new technologies to visualise the exact boundary between tumor and healthy brain tissue. 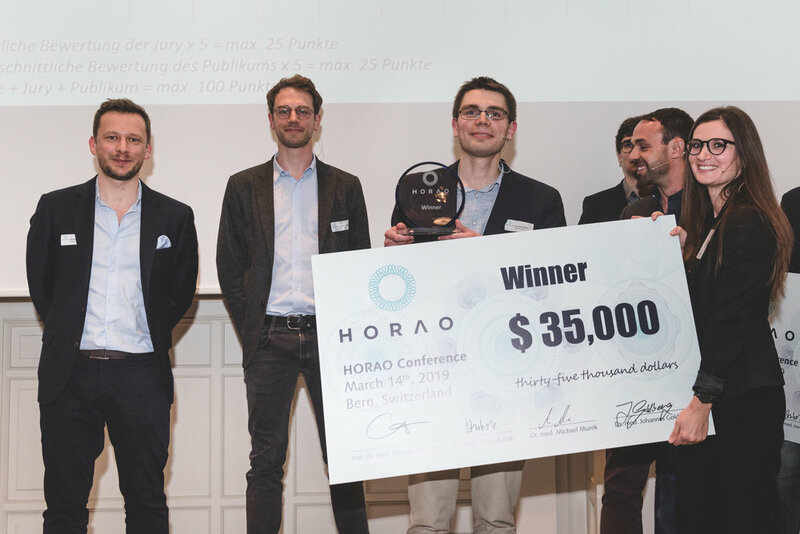 The five finalists presented their ideas at the HORAO Conference on March 14th, 2019. The spectators had the opportunity to choose the winning project by e-voting. Ivan Gusachenko’s project was the most convincing and won the USD 35,000 prize money. His concept will now be supported by a coach to bring the solution to market maturity and to make brain tumor surgery safer and more efficient. Philippe Schucht (r.), Head HORAO Project, congratulates HORAO Winner Ivan Gusachenko (l.).